Air pollution is a real thing. And the world can already see what damages it is causing. 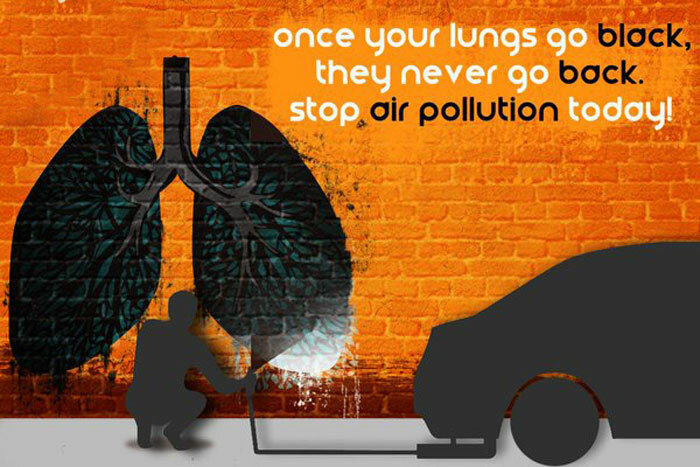 Air pollution has caused a drastic increase in the number of Asthma patients. 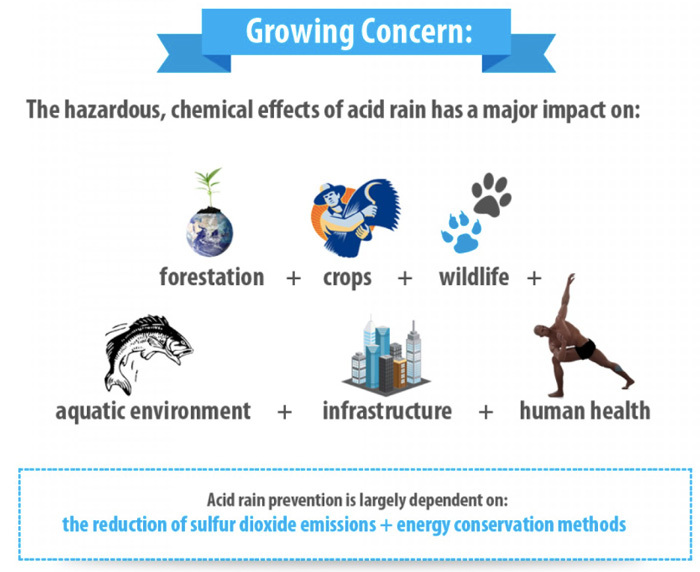 Air pollution has caused acid rain which damages the ecology. And air pollution is the main contributor to global warming. So air pollution is a real thing and we need to act today. That is what IMO must have said to itself in the year 1997 when it adopted Annex VI to the Marpol convention. Air pollution, Global warming, acid rain, ozone depletion. No matter how big words these may seem, it is not that tough to bring our contribution in preventing these. All we have to do is comply with the Annex VI of the Marpol. 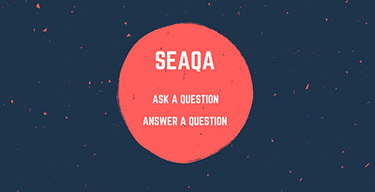 The first step towards compliance is the knowledge of what is expected from we seafarers. In this post, I will discuss 10 things we ought to know about Marpol Annex VI. This is one of the components that Annex VI aims to reduce from burning of ship’s fuel. SOx is the short form of Sulpher oxides and the most common sulphur oxides gases are Sulpher dioxide (SO2) and sulphur trioxide (SO3). 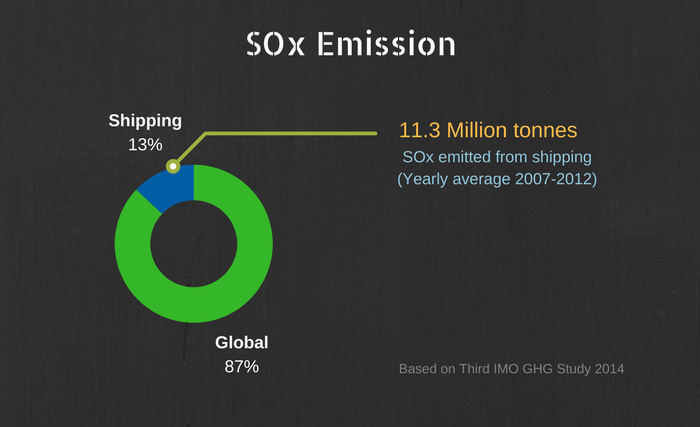 In the third IMO Green house gases study, MEPC noticed that shipping contributes to the 13% of the total SOx emissions. When averaged for the years 2007 to 2012, a total of 11.3 million tonnes of SOx gases were emitted from the ships. 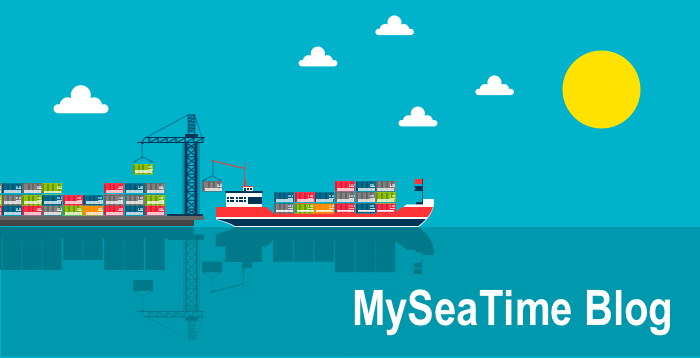 The question is, how SOx emission from the shipping can be reduced. Though optimizing speed for better fuel efficiency is encouraged by all the stakeholder, it is something that cannot be enforced upon. The thing that can be enforced is the use of low sulphur fuel on board ships. MARPOL Annex VI does exactly that. 0.50% m/m on and after 1 January 2020. Of course, the first limit of 4.5% m/m is no more valid as we are already past 1 January 2012 deadline. These limits are reduced when the ship is operating within an emission control area. 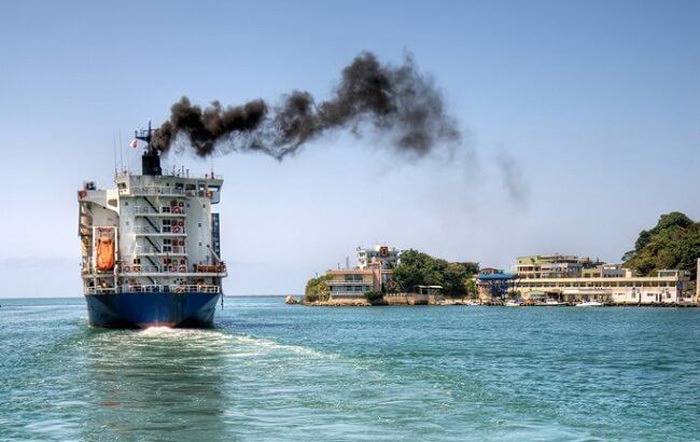 When a ship is going to emission control area, it needs to change the fuel consumption to the low sulphur fuel as required. This change over requires that before entering into the ECA, all the components of the fuel system must be using low sulphur fuel. Ship’s staff should be aware of the time required for this change over and how this fuel change over is to be executed. Each ship shall carry a written procedure showing how the fuel oil changeover is to be done. This shall allow sufficient time for the fuel oil service system to be fully flushed of all fuel oils exceeding the applicable sulphur content prior to entry into an emission control area. Marpol annex VI also requires that record is maintained for all fuel oil change-over carried out before entry into ECA and after exit from ECA. As with the SOx, NOx too is the major air pollutant that is seriously harmful. In the third IMO Green house gases study, MEPC noticed that shipping contributes to the 15% of the total NOx emissions. But unlike SOx, NOx gases are not generated by burning the fuel but by the process of burning the fuel. 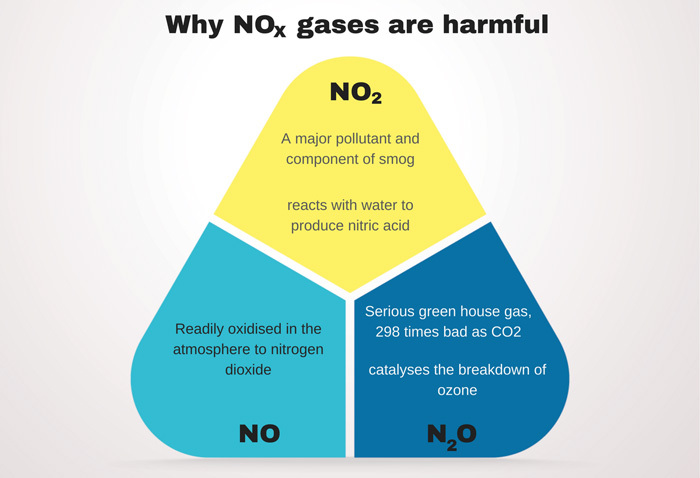 NOx gases are produced from the reaction of nitrogen and oxygen gases present in the air during the combustion process. This reaction takes place at the high temperatures which the combustion of fuel in the engine provides. So how the NOx can be reduced from the ship’s diesel engine? It can only be reduced by the design of the diesel engine. Well, I do not have a technical bone in my body so I won’t go into detail of what design changes can produce lesser NOx. But for the purpose of understanding the requirements of Annex VI, we just need to know that NOx emission can be reduced by the better design of the ship’s engine. 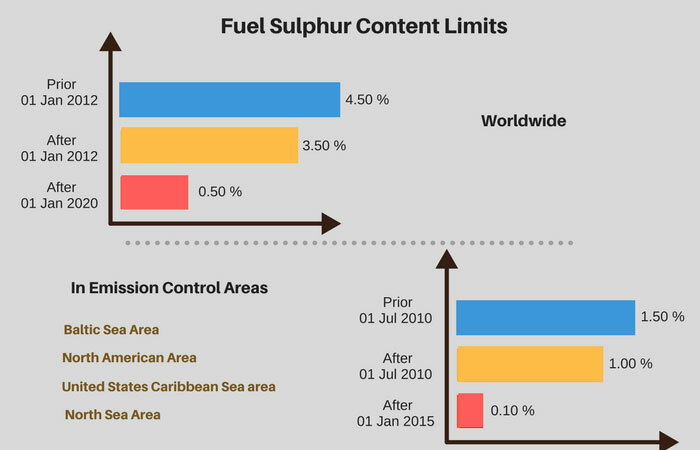 Now there are certain NOx emission levels set by the MARPOL Annex VI. The requirements of these emission levels are divided into three tiers. A Marine diesel engine that is installed on a ship constructed on or after 1 January 2000 and prior to 1 January 2011 fall under Tier I. A Marine diesel engine that is installed on a ship constructed on or after 1 January 2011 fall under Tier II. We have so far seen what NOx is and what Marpol Annex VI requires in terms of NOx emissions. But the question is, how do we know if the amount of NOx gases emitted by the ship’s engine is within the required levels? How do we prove the compliance with required NOx standards on board? 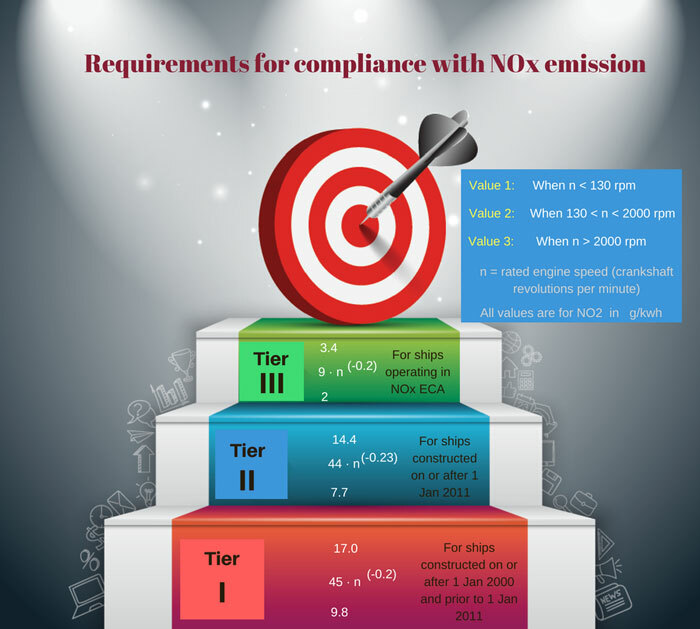 Compliance with NOx emission involves few parameters and records. Let us discuss this one by one. Hearing about this certificate for the first time? Get your hands on this certificate next time you are on board. EIAPP certificate must be present on board. And this certificate needs to be for each of the diesel engines more than 130KW on board. Because the NOx requirements are applicable for diesel engines more than 13oKW power. Now say, the ship is fitted with one main engine and three auxiliary engines (generators). There needs to be EIAPP certificate for all these. Now, what does EIAPP certificate certify? 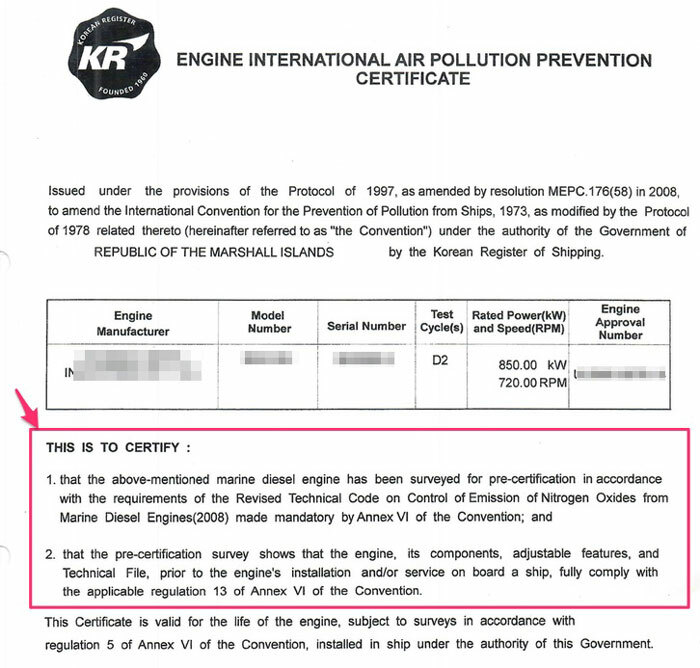 EIAPP certificate is issued after the engine is found to be complying with the NOx emission requirements during the pre-certification survey. The pre-certification means the survey done before fitting the engine on board the ship. Having an EIAPP certificate on board shows that the engine fitted on board was complying with the NOx parameters and an engine of correct specifications was fitted on board. After the engines are fitted on the ship, the test is again done on the engines for compliance with the NOx criteria. This test is required because when the engine is fitted on board ships, some changes/modifications might have been done on the engines. This test proves that the engine still complies with the NOx requirements even after fitting on the ship. 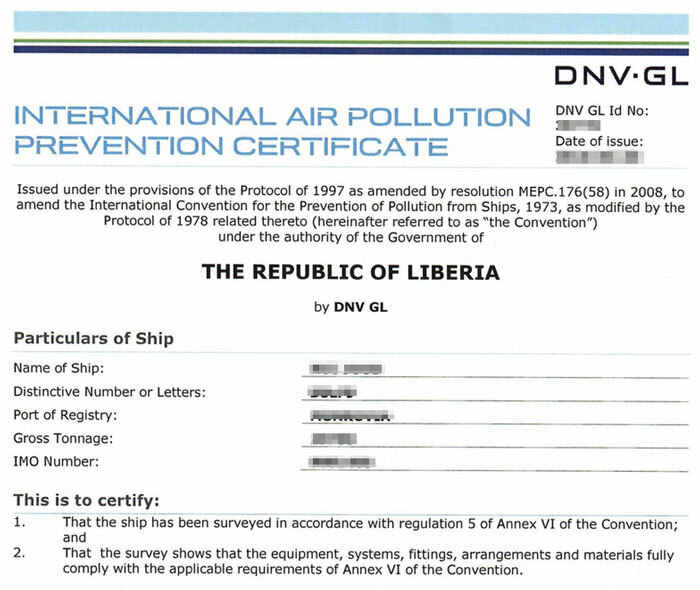 If the engines are found to in compliance with the NOx criteria of annex VI, International air pollution prevention certificate is issued to the ship. Having EIAPP and AIPP certificates on board proves that the engine of the correct specification is fitted on board. It proves that when the engine was fitted on board, the NOx emissions from the engine were within limits and as required by MARPOL annex VI. But how can we prove that even after 10 or 20 years in operation, the ship’s engines still comply with these requirements? There are three ways in which ship can prove that it still complies with the NOx requirements. 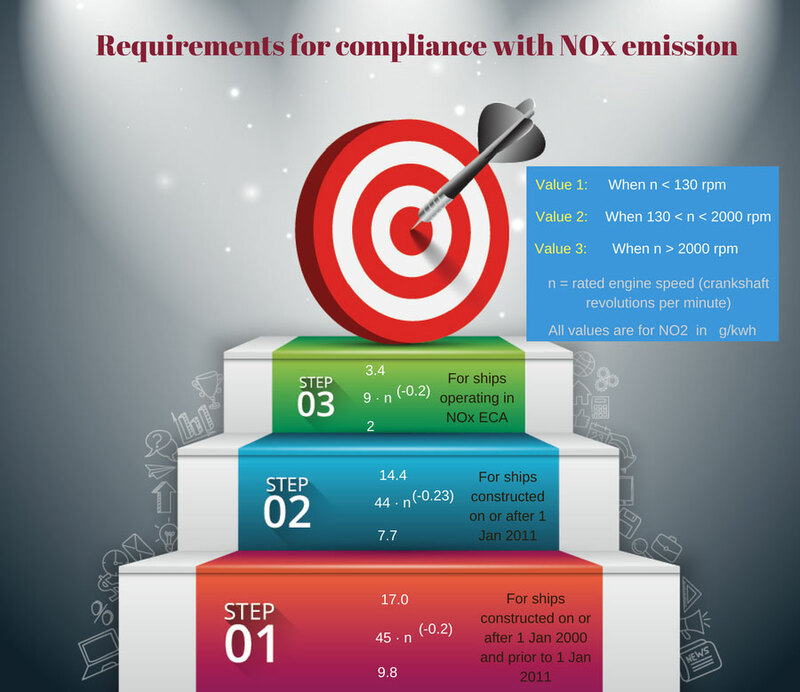 The method that the ship is certified to use for on board verification of NOx is specified in the EIAPP certificate of the engine. 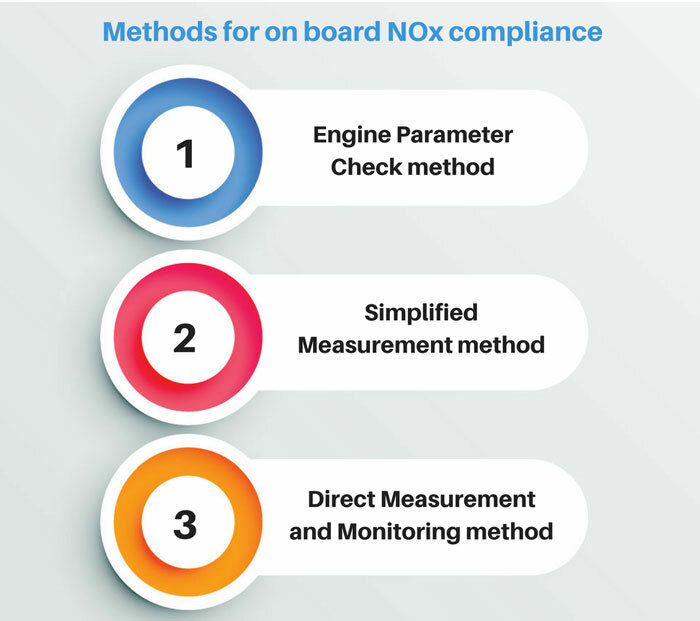 And the procedure to verify on board compliance (and using the certified method) is provided in the NOx technical file that accompany the EIAPP certificate of the engine. The “simplified measurement” and “Direct measurement and monitoring” methods are based on measuring the NOx emissions from the engine. Frankly, I seldom see these two methods used for NOx on board verification. What I have mostly seen is the Engine parameter check method used on the ships for NOx on board verification. May be because of the simple principle it is based upon. This method is based on the principle that if the engine complied with the NOx parameters at the time it was fitted on board, it should continue to comply if there are no modifications/adjustment made to the engine. This is really a simple and logical thing to say. And as there are absolutely no extra costs involved to use this method, this method is most common among ship owners. So there are few things that are required from this method that we must know. We must know the engine parts that contribute to the NOx emission. Modification and adjustments of these parts must be as per the Maker’s guidelines. If any of these spare parts of the engine need to be changed, it must be changed with the original part supplied by the maker. Any adjustments made to these parts must be within the range specified by the maker of the engine. A record must be kept of all the replacements of the spare parts and all the adjustments made to these parts. Durning annual, intermediate and renewal survey of the Air pollution prevention certificate, these records, and engine parameters are checked by the class surveyor. The international air pollution prevention certificate is endorsed or renewed on the basis of these verifications by the class surveyor. So I said for the NOx compliance with engine parameter check method, the parameters of the engines need to be same throughout the life of the engine. 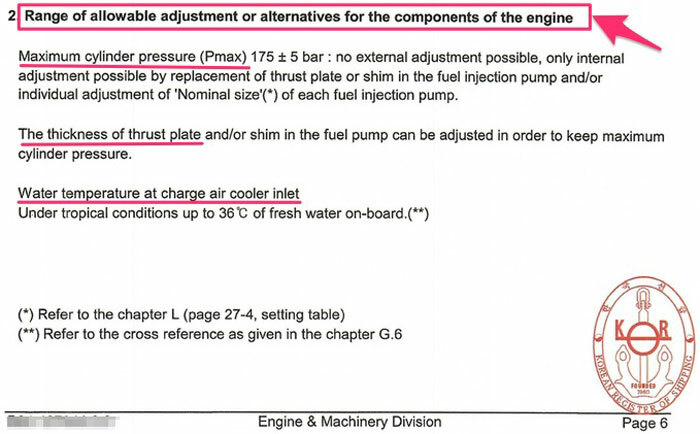 But where can we find these parameters for the engines fitted on board? Where can we find the list of components that affect the NOx emission from the engine? These all parameters are there in the NOx technical file. 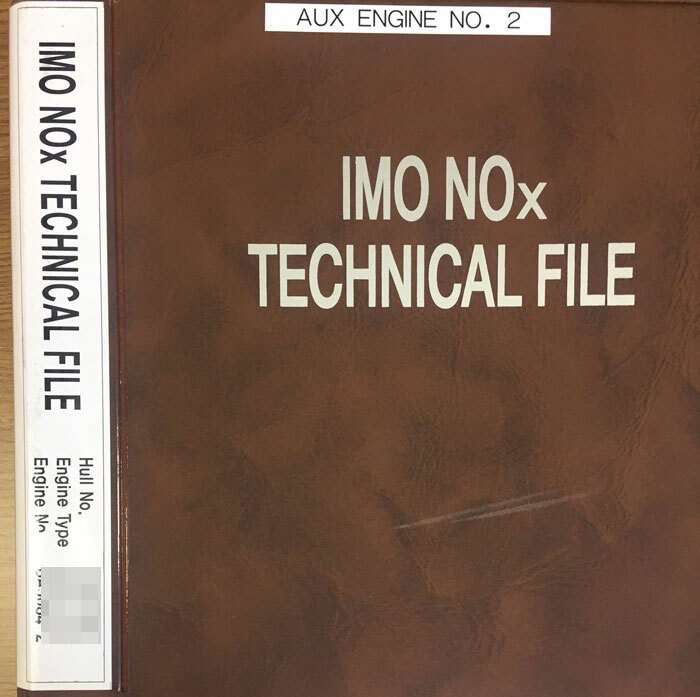 NOx Technical File is a record containing all details of parameters, including components and settings of an engine, which may influence the NOx emission of the engine. Marpol annex VI requires that ship must comply with the SOx and NOx emission requirements set out in the convention. 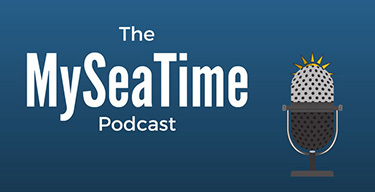 Seafarers must be aware of how to ensure compliance with SOx and NOx emissions. Compliance with SOx is simple. Just use the fuel with sulphur content as per the limitation set for the area the ship is trading. Ship staff must have the procedures to change over from high sulphur to low sulphur fuels. All the components of the engine are maintained as per the NOx technical file provided on board for each diesel engine. When we do so, not only we can sleep peacefully, we can also take pride for contributing towards making the earth a better place to live. Sir, could you clarify on the following: 1) what does % m/m mean? 2) the IMO website states different dates for special areas with regards to "date of entry into force" and "in effect from". Very eloquent in explaining ! Hi Mr.Jassal, really u have so nicely & so easily make us understood.Thanks for ur contribution.The fundamental was missing from all other books i read.Preparing for my orals now; at least in this section i would be more comfortably than the surveyor i think. Amazing work in a simple manner.Keep the good work going sir. Thank you for the explanation. 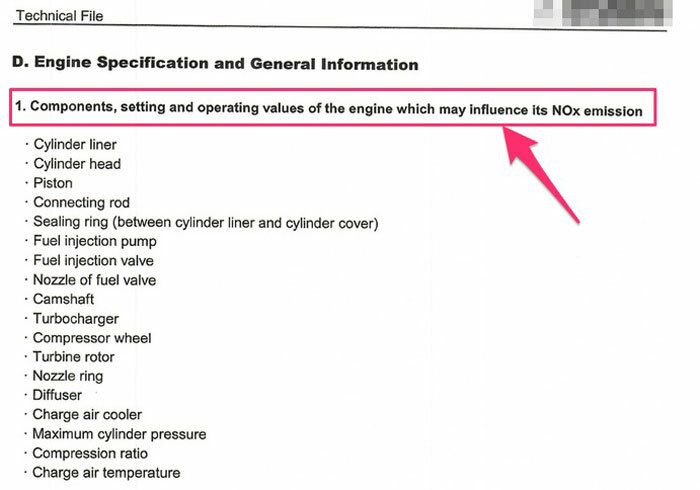 I have a further query, if there is no approved NOX spare onboard then what will be the correct course of action ? Its very clear to me now.tnks. sir hats off to you.. before i thoght EIAPP AND IAPP WOULD BE THE SAME..BUT NOW I KNW...THANK YOU SIR.. I had searched Google about nox, sox...earlier but there was only 9 ways to reduce this 5 ways to increase that and so on... Finally found your article! Nicely explained crucial points. thank u sir. explained in simple language. finally understood sox and nox. I'm very appreciate You for Yrs detailed and edifying lecture. It is required to be updated every engine maintenance job done all jobs under Technical file section D? replace/overhaul. Thanks for the explanation, it was simple and easy to understand. Very helpful read. For SOx controlling an alternative is "Exhaust Gas Cleaning"
kindly explain how to accomplish nox record, specially the difference of ID number and parts number portions for FO inj. nozzle. tnx. thank you for the very useful information. my question is, is there a form which must be filled up just in case you renew or check a specific part of an engine? example nozzles,plunger and barrel. because recently we were inspected by an port state and he is looking for a form which must be filled up when i change a nozzle of a generator engine. Well said sir. Thanks so much for such brilliant explanation. It's really essential that we, seafarers, have such knowledge in order to save our universe!!! Thanks so much sir, for this good information. Its very important for us, seafarers, to have a good knowledge about air pollution in order to save the world.